Climb trees, race through meadows, catch frogs and explore the Caves Valley woodlands. At Irvine, nature activities are synonymous with childhood in summer – we engage children using outdoor fun to create pathways for lessons in nature, ecology, and science. Irvine offers tailored, age-specific programs for children age 2-12. Enroll your child by January 31, 2019 and receive 10% off! There are more than 40 sessions with trail walks, science experiments, nature games and crafts, and encounters with animals! Overnights and daytime aftercare are available with some sessions. All camp sessions are designed by educators, feature small group sizes and are perfect for the young and curious. 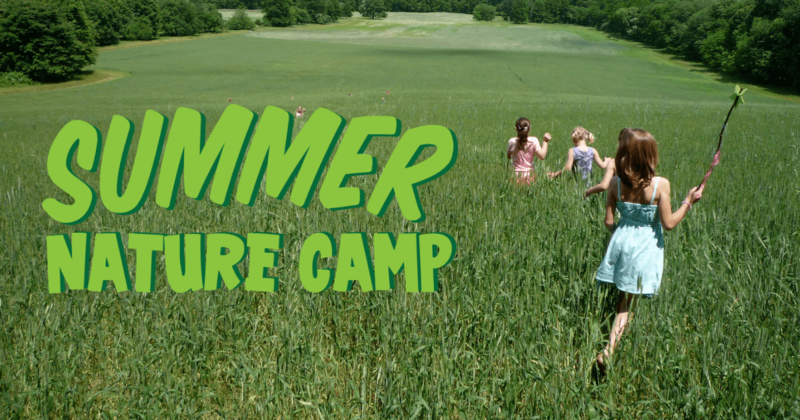 Summer Nature Camp at Irvine is a Maryland state-certified camp. Irvine members qualify for reduced camp fees. Learn more. The answers to many questions about Nature Camp can be found in our Camp FAQs. If you have questions, please call 443-738-9211. Caregiver and child discover the wonders of nature together, hand in hand. Venture through the forest and dash through the meadow during a week of sensory outdoor fun! We will meet animals, examine natural artifacts, play games and sing songs – it’s a wholesome way to discover the natural world. A parent or guardian must accompany each child in this camp; regrettably, siblings are unable to attend. 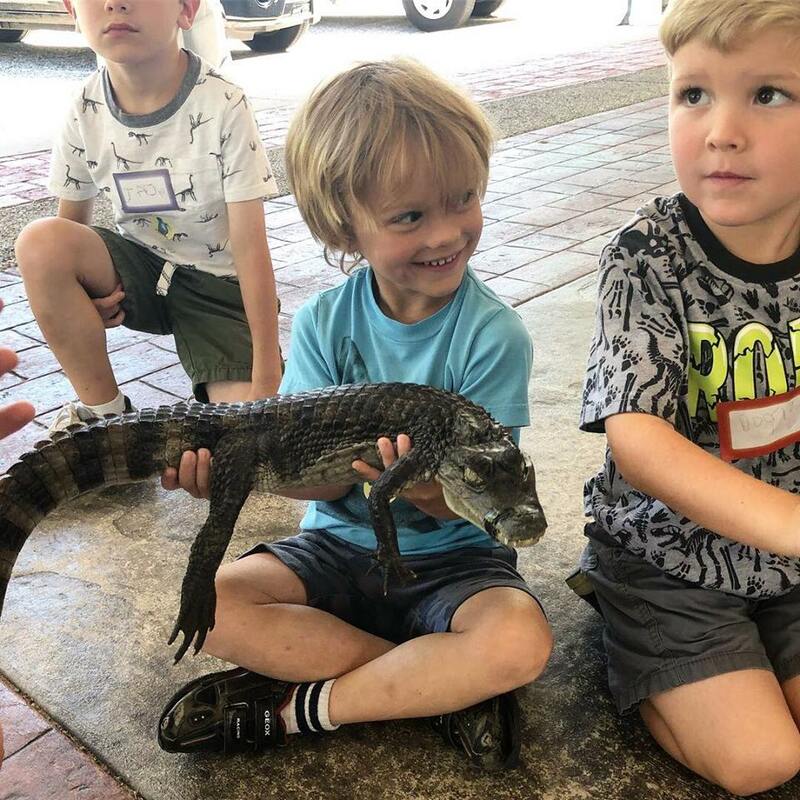 This is an enriching first camp experience for three-year-olds as they engage in fun, hands-on nature games and activities in a small group setting. Campers enjoy trail walks, animal encounters, puppets, songs, stories and art projects. Unlike Buds, this session does not include a parent or guardian. Campers MUST be potty trained. Sweep for insects, explore the stream and laugh and sing with the animals! These and other fun learning opportunities await your child. Young campers love this sensory approach to exploring the great outdoors! Fun-filled activities include trail walks, nature games, crafts, stories, and animal encounters. We’ll have a midday quiet time for campers to rest their heads and legs before continuing our adventures in the afternoon. Campers investigate their natural surroundings and learn to understand the relationships of wildlife and the ecosystem. Each day lets your child be a real explorer, using science in fun ways to better understand the natural world! Environmental games, animal encounters, nature crafts, interactive stories, and other nature activities help to illustrate and reinforce the ecological concepts covered in daily adventures. Irvine’s Adventure Camps introduce campers to more focused topics. We use STEM principles, outdoor recreation, and even cooking to better understand the natural world. Each of these camps features offsite excursions.